The recently renovated Ada Lovelace House was officially opened on the 10th October, which is Ada Lovelace Day. The building on Urban Road, Kirkby has been developed into seven office spaces for local start-up businesses and small to medium sized enterprises. Formerly Ashfield Urban Council Offices, and more recently a police station, the building is a well known local landmark, named after Lord Byron’s daughter Ada Lovelace. Ada Lovelace House offers seven high quality offices with shared communal space and open-plan meeting areas, five of the offices are currently occupied, with the remaining two currently being marketed. The £280,000 project was funded with £140,000 from the D2N2 Local Enterprise Partnership’s Local Growth Fund allocation and £140,000 from Ashfield District Council, the renovation works were carried out by construction firm Robert Woodhead. The building was officially opened on Ada Lovelace Day. Ada Lovelace was not only the daughter of the poet Lord Byron, more importantly she was a real pioneer in the world of Mathematics, and a role model for woman at that time and also today. Because of her death at a tragically young age, her work went largely unknown at the time. But she has influenced key thinkers in the field of Mathematics and computing and she is now known as the first computer programmer. She was recently featured in ITV’s Victoria. 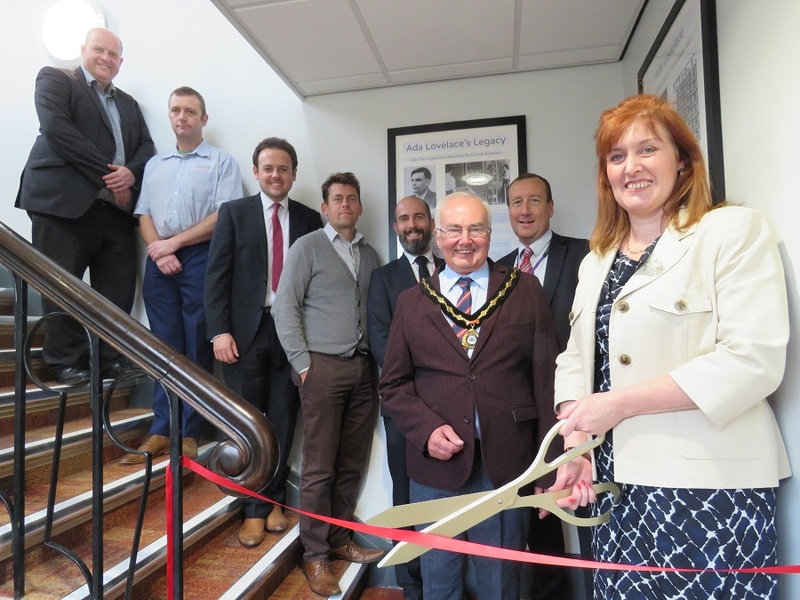 Mark Maisey, Team Leader for Robert Woodhead Ltd, said: “It’s been a privilege to work alongside the Council in delivering this project, bringing this historical building back to life and creating quality office space for local SMEs.